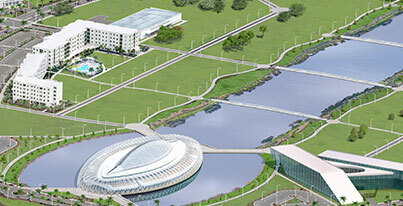 LAKELAND, Fla. – Florida Polytechnic University was granted initial regional accreditation from the Southern Association of Colleges and Schools Commission on Colleges (SACSCOC) to award bachelor’s and master’s degrees, a significant milestone the University has diligently worked toward since its founding. 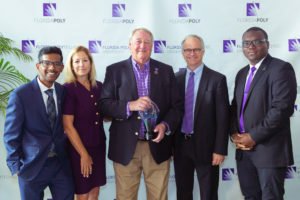 This decision means future Florida Poly graduates, and those who graduated earlier this year, will have a degree from a regionally accredited university. “Achieving accreditation was our last Legislative mandate,” said President Avent. “Today’s announcement allows us to move forward from the start-up phase and into new territory as we work to build a stronger Florida and lead the charge to develop future high-tech business leaders, create jobs and grow Florida’s economy. Adding accreditation to our credentials greatly enhances our ability to advance our STEM-focused mission,” said President Avent. Regional accreditation brings many benefits to the University, including fulfilling our commitment to the State of Florida that they would have an accredited university focused on Science, Technology, Engineering and Math (STEM). 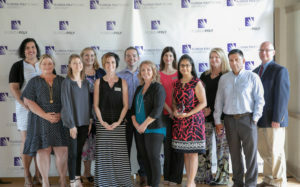 Regional accreditation is necessary for our students, on an ongoing basis, to receive federal financial aid such as Pell Grants and federally guaranteed student loans; accreditation is also required for universities to receive federal research funding that supports students as a part of university research programs. 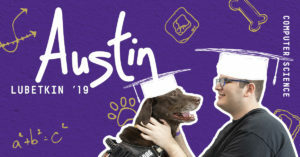 The University was named a candidate for accreditation a year ago by SACSCOC after meeting the initial set of standards. 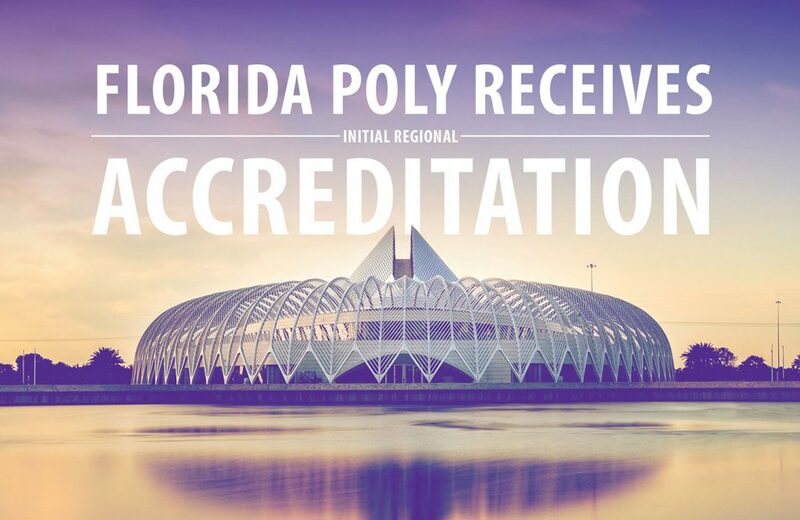 During this past year, Florida Poly worked to complete the final step for accreditation by submitting detailed documentation demonstrating the school’s compliance with all principles of accreditation. Representatives of SACSCOC also visited campus in February for three days of reviewing facilities and meeting with faculty and staff. SACSCOC is the recognized regional accrediting body in the eleven U.S. Southern states (Alabama, Florida, Georgia, Kentucky, Louisiana, Mississippi, North Carolina, South Carolina, Tennessee, Texas and Virginia) and in Latin America for institutions of higher education that award associate, baccalaureate, master’s or doctoral degrees. The Commission on Colleges’ Board of Trustees is the representative body of the College Delegate Assembly and is charged with carrying out the accreditation process. For information contact the Southern Association of Colleges and Schools Commission on Colleges at 1866 Southern Lane, Decatur, Georgia 30033-4097 or call 404-679-4558.